ViceOffers - Affiliate CPA network reviews and details. Founded in 2015 by Heiko & Alex brothers, ViceOffers is a young yet potential CPA network. What advertisers and publishers can expect when working with ViceOffers are exclusive offers that they can’t find in any other network. At ViceOffers, collaborative successes are the most rewarding, and they are constantly looking for positive and driven partners to broaden horizons in this ever-changing marketing sphere. Since 2016, the network has focused on growing its own exclusive offers so as to provide clients with the best goodies for traffic! 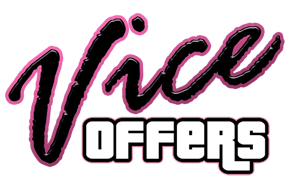 Keep up to date with their latest guides on ViceOffers to boost your traffic! You can check ViceOffers reviews and Offers on Affbank and ask ViceOffers Team any question by using the contacts above, especially about how to earn money!